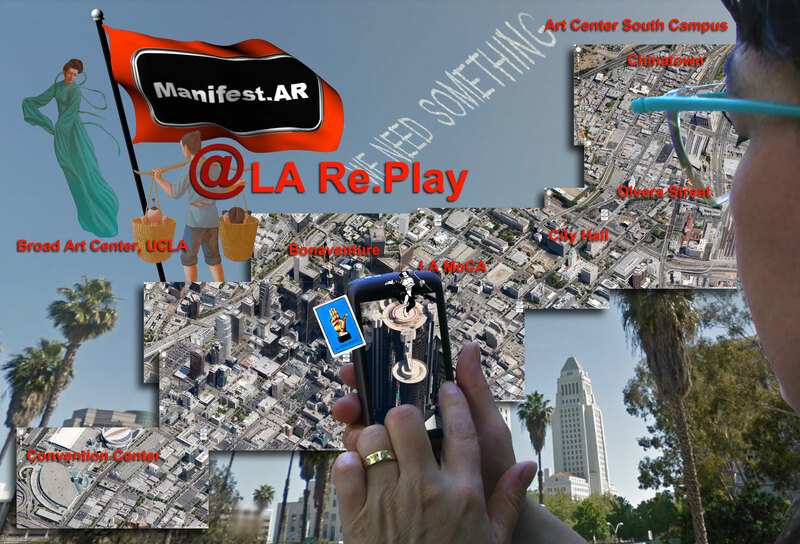 Mobilizing Los Angeles as a place to play and a place in play, LA Re.Play presents leading international artists working with mobile and geolocated media. The exhibit accompanies the double session presentation on Mobile Art: The Aesthetics of Mobile Network Culture in Placemaking, co-organized by Hana Iverson and Mimi Sheller for the College Arts Association 2012 conference, as well as an off-conference roundtable City/Space and Creative Measure, moderated by Jeremy Hight at the Art Center. Playing upon the dynamic relations between physical place, digital space, and mobile access via smartphone, we explore art that incorporates cell phones, GPS and other mobile technology, revealing the complex social, political, technological and physiological effects of new mixed reality interactions. This entry was posted on February 10, 2012 at 8:04 pm and is filed under Event, Exhibitions. You can follow any responses to this entry through the RSS 2.0 feed. You can leave a response, or trackback from your own site.